Preface. List of Contributors. Managing risk worldwide: global portfolio management at Shell EP (M.S. Leonard and F. Ozkaynak). A look to the past to avoid old traps in the future (M.L.Brown, L. Fosvold, A.J. Garza and D.M. Cook). Prediction accuracy in petroleum prospect assessment: a 15 year retrospective in BP (F.G. Harper). Evaluation of Norwegian Wildcat Wells (Article 1) (K. Ofstad, L. Kullerud and D. Helliksen). Volumes before and after exploration drilling: results from the project: Evaluation of Norwegian Wildcat Weels (Article 2) (L. Fosvold, M. Thomsen, M. Brown, L. Kullerud and K. Ofstad). Probability of discovery and the reasons for dry wells: results from the project Evaluation of Norwegian Wildcat Wells (Article 3) (K. Ofstad, A.Øvretveit, L. Kullerud and K. Heggland). Suggestions for an improved exploration process -- lessons from the project: Evaluation of Norwegian Wildcat wells (Article 4) (K.J. Skaar, A.M. Spencer, P. Alexander-Marrack and G.Stole). Exploration Potential east of the Troll Field, Offshore Norway, after dry well 32/4-1 (P.J. Goldsmith). Exploring the Norwegian part of the Barents sea -- Norsk Hydro's lessons from nearly 20 years of experience (S.-M. Knutsen, J.H. Augustson and P.Haremo). The exploration experience from Midgard to Kristin -- Norwegian Sea (H.Chr. Rønnevik). Making exploration pay: technology, history, and discipline (E.P. Dion and S.J. Moncrieff). From basin modelling to basin management; reuse of basin-scale simulations (A. Skjervøy, Ø. Sylta and K.S. Weissenburger). Quick mapping of basin modelling results -- a key for quantifying prospect sensitivities (C. Zwach, T. Throndsen and J. Bergan). Hydrodynamic activity and tilted oil-water contacts in the North Sea (H. Dennis, J. Baillie, T. Holt and D. Wessel-Berg). Reservoir characterisation using 4C seismic and calibrated 3D AVO (C. Signer, J.O. Hansen, G. Hutton, M. Nickel, B. Reymond, J. Schlaf, L. Sønneland, B. Tjøstheim and H.H. Veire). From seismic to biomarkers -- the value of additional data in continually refining geological models (N. Mills, R. di Primio, S. Hvoslef, D. Stoddart, I. Throndsen and M. Whithaker). Exploring mature areas: the role of technology (D.E. Krol, V.Noual and P.J.T. van Maren). Managing subsurface knowledge; three iniatives in BP (N. Milton). Future challenges in exploring the remaining hydrocarbon potential of the Norwegian Continental Shelf (S. Hanslien and R.G. Olsen). References index. Subject index. Learning by experience is both a part of the daily life and the exploration life. A systematic review of the past is essential to improve the exploration process by better managing risks and uncertainties. Learning through different disciplines has become a favoured technique. With new tools for interpretation and simulation, integration and data and the creation of cross-discipline teams, we can take major step forward in understanding the exploration task and its different elements. Global views and lessons learned on the Norwegian Continental Shelf on risk management and retrospective prospect assessment are presented in this book. 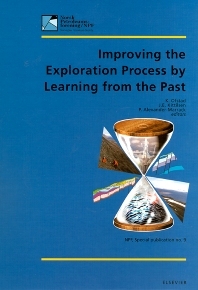 Detailed exploration case histories from the Norwegian Continental Shelf documenting both positive and negative experiences and highlighting the benefits of integrated thinking and methods are presented. The impact of the application of various state-of-the art and developing technologies on portfolio management, opportunity evaluation and volumetric and risk assessment of prospects and discoveries are reviewed, and the future technological challenges in exploring the remaining hydrocarbon potential of the Norwegian continental Shelf are summarised.